Over 170 high school and middle school students from Henderson County Public Schools toured nine different manufacturing operations today as part of the Made in Henderson program. Participating students had the opportunity to learn more about the availability of advanced manufacturing careers in Henderson County as part of Manufacturing Day. Manufacturing Day is held annually on the first Friday in October to celebrate modern manufacturing and to inspire the upcoming generations of manufacturers. Manufacturing Day is an important part of the workforce development pipeline as participating companies will showcase the multiple career entry points available in manufacturing. Students and educators can learn firsthand how products that are made in their community correlate with what they learn in the classroom. Henderson County employers and educators also took part in the regional Manufacturing Day event hosted by the Mountain Area Workforce Development Board. Employers and educators from around the region gathered in Henderson County at GF Linamar to hear from state and local stakeholders about the importance of manufacturing. Made in Henderson County is made possible by grant funding through the Community Foundation of Henderson County and partnership with the Henderson County Public Schools. Participating industries in the tours include: Current by GE, Elkamet, Multi Packaging Solutions, RAUMEDIC, Cane Creek Cycling Components, BorgWarner Thermal Systems, UPM Raflatac and Daystar Machining Technologies. For more information on Made in Henderson County and the work of the Henderson County Partnership for Economic Development, visit hcped.org. 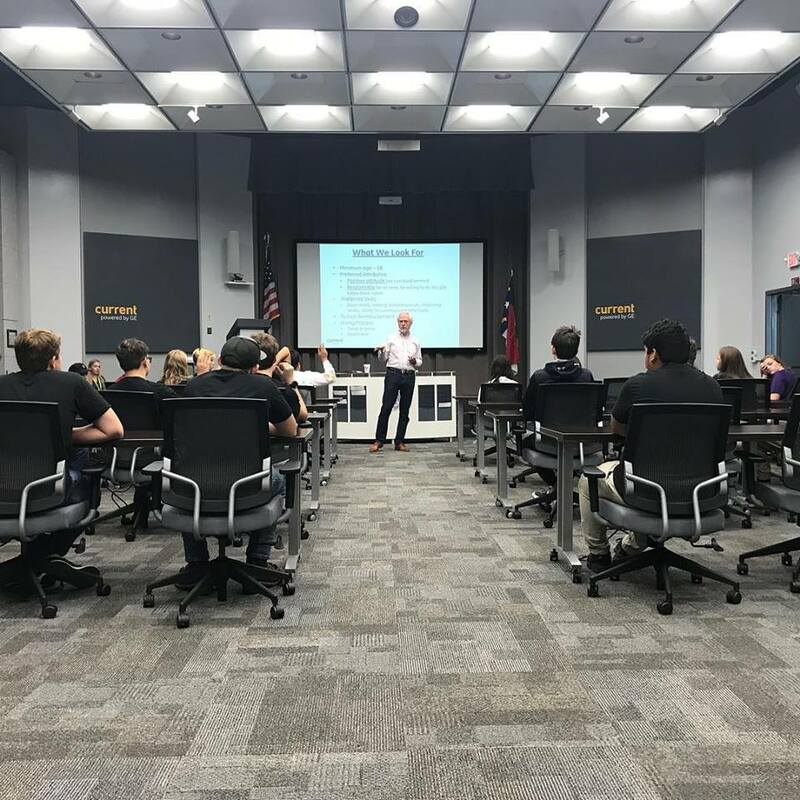 Terry Collins with Current, Powered by GE outlines what employers look for in candidates during the hiring process to a group of students from North Henderson High School. 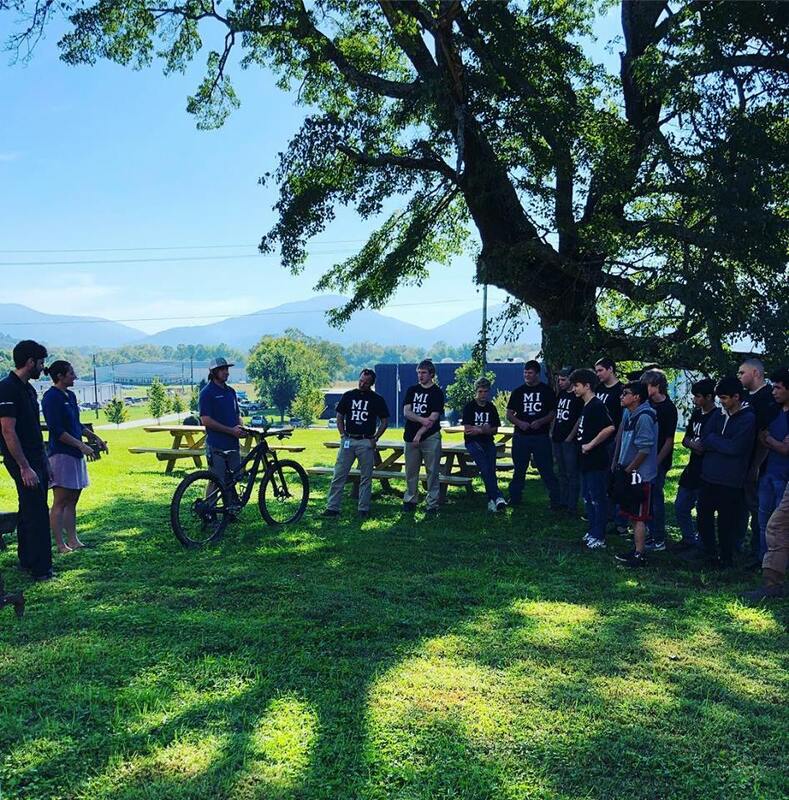 Students from East Henderson High School learn more about the products manufactured by Cane Creek Cycling Components in Fletcher, NC.